Lucy Mae Brown Ray passed away on Monday, December 31, 2018 at Memorial Mission Hospital. Lucy was a native of Asheville and a daughter of the late Corine Lytle and Jacob Brown, Sr. Lucy was formerly employed as a certified nursing assistant. 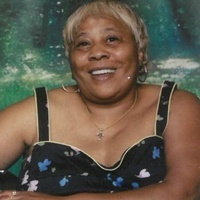 She was a member of Rock Hill Missionary Baptist Church. Lucy cherished taking care of her grandchildren. Surviving family to cherish her memory include sons, C J and Jermaine Bowen; brother, Jacob Brown, Jr.; grandchildren, Jamarr, Amariah and Bae Bowen; cousins, Margaret Brown, Shirley Bowen, Mike Turner and Debra Rone; other relatives and friends.